Ponytail hairstyles aren’t simply for lounging around at home in your pajamas or quick trips to the store anymore. They are making their appearance everywhere from the workplace to the red carpet and beyond. While it used to be that a simple ponytail was seen as simply a quick up-do that could be done in seconds for quick trips and lazy days, times have changed and even though the ponytail is still simple it is no longer done by housewives and schoolgirls. These styles are not only simple but have been dolled up to make the ponytail acceptable no matter where you wish to wear it out. One ponytail style that is becoming popular is Dutch braiding one section of hair on the side of the head, then pulling the braid and rest of the hair into a ponytail. Dutch braiding is also popular as a reverse braiding or inside out braiding, and in braided side ponytail, the braid is angled towards one side of the head instead of the back. This braid is advisable for long hair or medium length hair that has no layers, because it will be difficult to join the braid at the side of the head if there’s a layer. This adorable high ponytail style with the fly-a-ways framing the face is both elegant and effortless. It is important to have texture in the hair to get the perfect high ponytail. The hair needs to be pulled upwards to the crown, brush the bumps to get a polished ponytail, and then secure it with hair elastic. From the underside of the high ponytail, get 1-inch section and cloak it around the hair elastic to look chic. To add volume and texture, gently comb the hair up and down the front using a fine-tooth comb. A toothbrush sprayed with hairspray can also tame the ponytail without appearing flat. 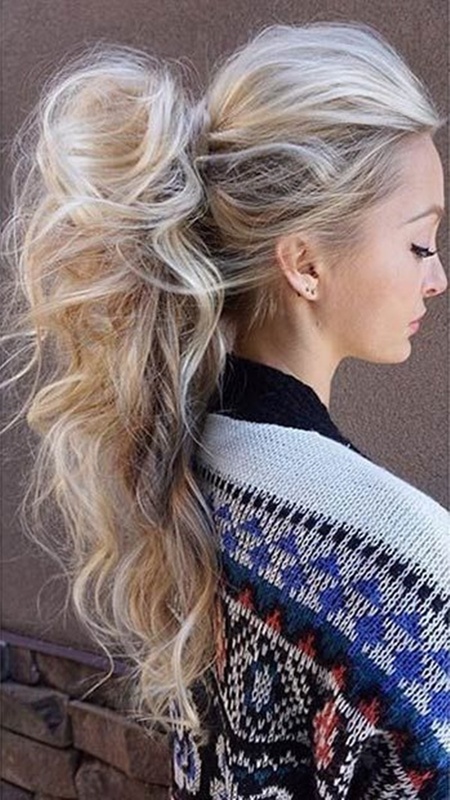 This curled messy pony is another wonderful example of cute ponytail styles that can be found as it is both classic and relaxed. “I woke up like this” look is achievable with a little style. The curled messy ponytail is best done with a hair that has not been combed for the whole day, and for naturally curly or wavy hair. For straight hair, a curling iron will do the trick by curling loosely 3-inch section of the hair. Added volume can be achieved by using salt spray at the hair root. Pull the hair upwards towards the top of the crown, and then use hair elastic to secure the ponytail and hide the elastic by wrapping 1-inch section of the hair around it. Bubble ponytails are back in style and are decorated by creating knots in the hair between the bubbles or simply adding pins and clips to create a more glamorous look. First, the hair must be parted from the temples towards the crown to create the first ponytail secured with elastic. 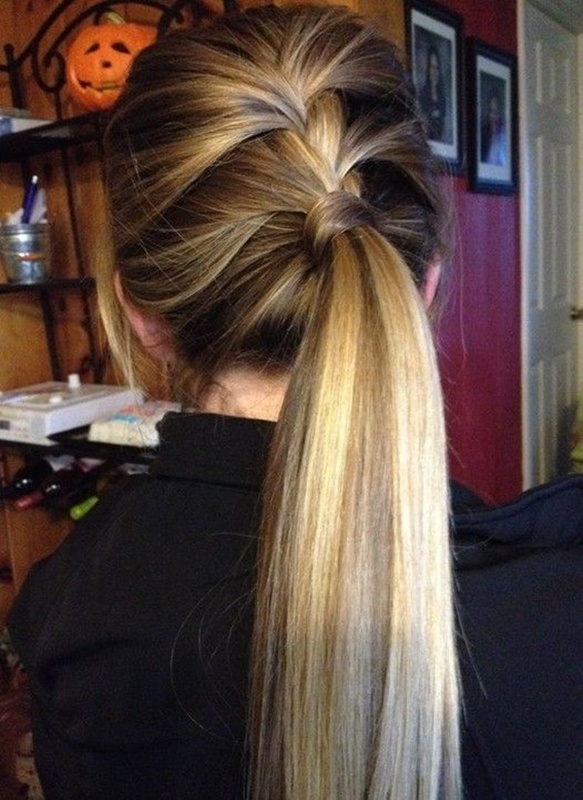 Second, on the side of the pony, divide two small hair sections and create a knot, then flip the ponytail upwards. Third, under the ponytail, bring the tails of knot and combine them with elastic just under the ponytail. Fourth, create another ponytail dividing the hair from ear to ear and secure with elastic. Repeat steps 2-3 then collect the remaining hair at the nape, tie with elastic, and then repeat steps 2-3 as many times as the length of the hair will allow. Covering the elastic on a ponytail is becoming more and more popular, this can be done by crossing and wrapping sections of hair around the elastic and securing the hair with pins. This style gives a gleaming and elegant look. Divide hair three times, two in the front and one in the back section. Pull the back section into a ponytail secured with elastic, and then bring one front section around the back, place over the low pony. Then the other front section needs to cross over the first section, and both ends pulled under the low ponytail secured with elastic. 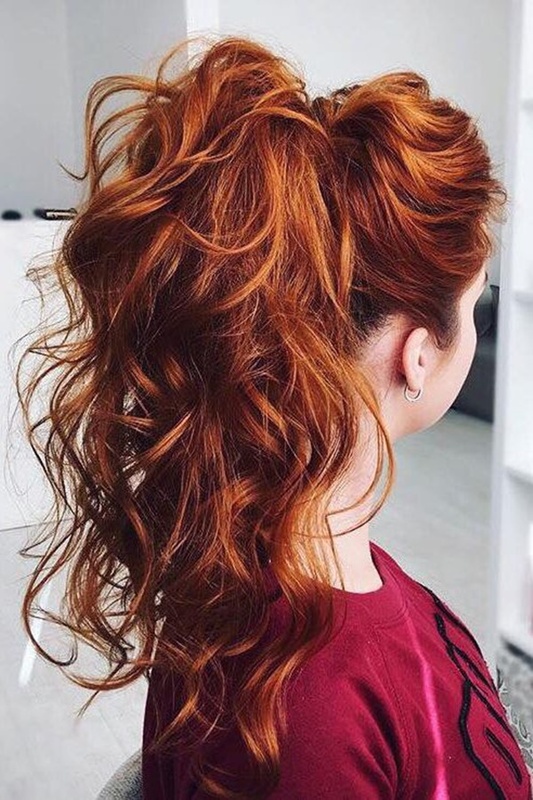 Relaxed style ponytail styles are more common than ever before at various formal events, however they are usually dolled up by leaving bangs framing the face and the use of decorative pins. No matter what kind of ponytail is done for the hair, styled bangs that reach the chin will complement the ponytail and will take years off the age. Braiding the top section of your hair then pulling it into a ponytail is not only fast and easy, but looks amazing for school, work, or nights out. To make this style work it is important to separate the section of the hair that needs Dutch braiding so it will stand out. After the braid is done, gather the rest of hair together and fancy a ponytail secured with elastic. Pulling your hair into a ponytail then clipping or pinning the hair up to add volume is another popular style that is seen on various celebrities. This gives a little messy look that works best for wavy or curly hair. While bumping the front section of your hair has slowly declined in popularity, bumping a section in front of your ponytail to amazing heights is steadily increasing. The method is to tightly tie the ponytail and bump the hair up using the fingers to create a perfect lift. Plaiting the first section of your hair before tying it all into a ponytail is another beautiful style that is becoming popular and can be something quick to do in a hurry. This is advisable for long hair, and this gives an amazing simple yet classic ponytail look. For a more formal occasion, you can dress up your ponytail by creating twists that will loosely wrap around your ponytail then securing the twists with pins to refine the look. This ponytail style can be done for short or long hair, straight or wavy or curly hair. Along with Dutch braiding the side of your hair comes double French braids which accent and elevate the simplicity of the ponytail, and finished off by wrapping the elastic to hide it. This is done by dividing the hair down the center and creating a braid on each side. Then bring the other braid to the other braid, pull both braids together and create a ponytail secured with elastic. This look not only looks classic but can be done quickly as well as provide a delicate part to your hair. Divide hair into three sections starting at the hairline. Use the right hand to hold the right section, left hand for the left section, and use thumb and another finger of either hand to hold the middle section. Cross the right section over the section in the middle, same thing with the left section until the end of the hair length, then secure with elastic. Not only can you depend on a classic ponytail, but they are amazing for lounging and working out due to the ability to pull the hair up and are fixable in a few seconds. This is a timeless and elegant ponytail and it can be done with any hair length, and can be worn high, low, stick-straight, to the side, loose, pumped up, twisted or braided, or wavy. If you still want to wear a classic ponytail but want to dress it up a bit more, simply add volume to the ponytail and add a bit of curl. Backcombing can add volume to the ponytail, as well as suing bobby pins to add height. Bubble ponytails are becoming more and more popular, and this looped bubble ponytail isn’t any different as you simply create a bubble and loop the hair through to create another bubble. This looped bubble ponytail is fun to do to a normal ponytail and it does look amazing. For a sleeker style, simply put your hair into a low ponytail and wrap a little hair around the elastic to disguise it. This can be done for any hair length and any hair texture. It’s very easy to do, and looks classic and simple but elegant. Adding volume at the top and front of your head before creating a ponytail is another easy way to create a different style with ease. This can be achieved by parting to sections of the hair, front and back. Tie the back section with elastic into a ponytail, then pull the front section on top of the first ponytail loosely and tie with elastic together with the other ponytail. If you are looking for a more seamless bubble ponytail, then try clear elastics to prevent them from being too prominent. Clear elastics can add sophistication to the ponytail as item used to create the ponytail cannot be clearly seen. When you want a cleaner look to your style you can always sleek back your hair before pulling it into a ponytail and apply hairspray to prevent fly-a-ways. It is advisable to use a nylon and boar bristle brush to make the strands smooth. Some unique styles are possible with ponytails such as French braiding the hair back loosely to add a bit of volume before tying your hair back. The braided back ponytail style creates a look of a messy classic with a hint of modernization. For a more fanned appearance to your ponytail style, simply situate the elastic higher onto your head and spread out the hair, then wrap a section of hair around the elastic to hide it. The fanned ponytail is perfect for dressing elegantly for a party or for going out at night. 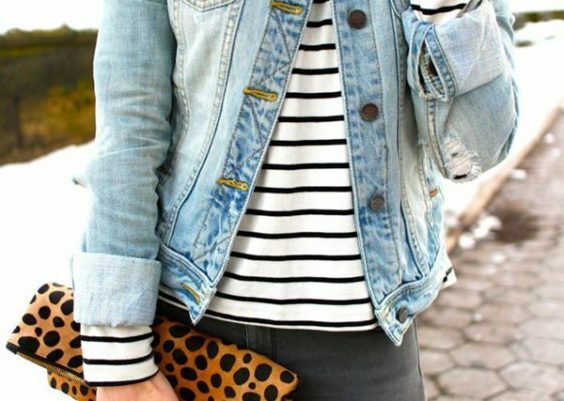 This wonderful look can also be great for a casual day out with friends. It is possible to part your hair before securing your ponytail for a different look, like the image below where the hair is parted then pulled back. The simplicity of this center part ponytail gives a delicate look to the woman with this hairstyle. While this works best for hair that either has long layers or no layers at all, tightly securing your hair back into a low ponytail is another great way to add a little sophistication to your ponytail. Just make sure to choose the best hair lube or oil or solution to create the perfect slicked low ponytail if the hair is not naturally sleek straight. Slicking your hair back isn’t simply for low placed ponytails, but mid ponytails as well. This works perfectly if the ponytail’s elastic is tightened and the use of a hair spray can be done to keep the strands in place for hours. Pulling your hair into a ponytail, wrapping hair around the elastic, then braiding your ponytail is a great way to keep your hair in check when you are out. This can be done with any type of hair, and for medium length to long hair. 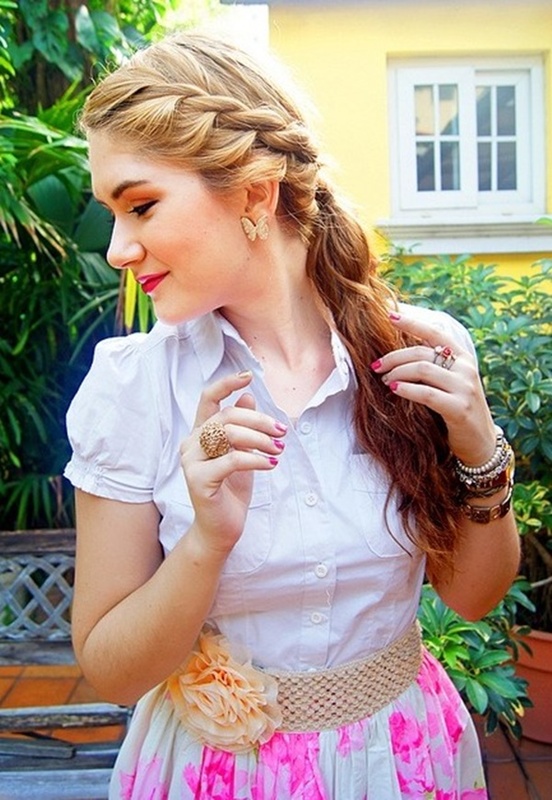 This braided ponytail look exudes an outgoing, friendly personality. Bubble ponytails can also start from any position, and it is possible to use elastics that match your hair color for an easy to disguise style. Create a high ponytail secured with elastic then wrap a small section of hair to cover the elastic. Two to three inches from the first elastic, tie another hair elastic and create a volume between the first and second elastic. Do the same thing depending on the length of the hair. For those who aren’t all that talented at braiding their hair may have an issue creating a fishbone braid, however, it does look amazing like many other braiding designs for ponytails. A lazy tip to do fishbone ponytail is to make sure that the hair is straight, combed into a high ponytail. Using a transparent elastic band, tie a tail further down the first elastic, then make a hole in between. Twist the tail from outside to the inside through the hole. Twist two to three times more and repeat the same method depending on the hair length. This style is a little older, however adding volume to the back of your head above a low ponytail is a great style, and you can even use your bangs to appear like a headband. 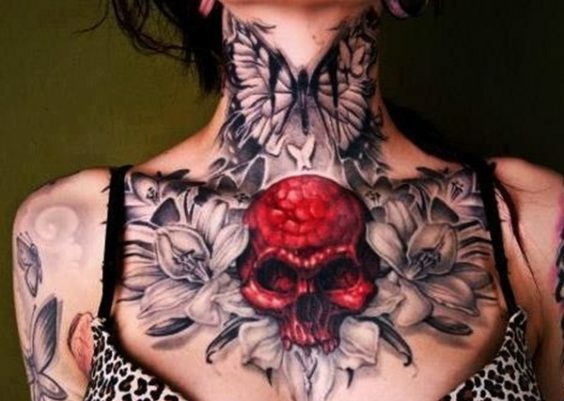 This gives a more traditional and conservative look, and its grace is alluring. For those who have bangs, you can still obtain a parted style from your ponytail by parting your bangs where you like and either let them hang or pin them back. This gives an innocent and simple look to the woman with this hair style. There is nothing easier than pulling your hair up and securing it with elastic when you are out or simply want your hair off the back of your neck. This is the easiest ponytail since it does not require any bump or volume. Just easily pull the hair up and tie with elastic. Now that ponytail hairstyles have come onto the red carpet, the sleeker the style the more acceptable it is in formal settings. This works better with a straight hair style to obtain the natural sleek look. Ponytail hair styles even look fabulous with a classic straight cut bang which is certainly a more youthful look. Bangs will never go out of style, especially straight bangs that are suited for all occasion. You can even create a headband by braiding your hair before securing it into a low side ponytail. This can be done with medium low hair, but best with long hair. It creates a young and innocent look. Sometimes one of the best ways to style your hair for a night out is to keep it simple whether you disguise your elastic or not. Simplicity does not have any enemy. Creating a simple ponytail without any additional volume or bump can be simply beautiful. Something else you may have noticed is that disguising your elastic by wrapping your hair around it can also push your ponytail further from your neck making you more comfortable. This is best done with a sleek hair to clearly complement the nape. Twisting your hair back before putting it into a ponytail also looks amazing and can be done easily and quicker than a French or Dutch braid. For times when time is of the essence and there is no time to braid the hair, twisting it for style into a ponytail is a convenient method to still look gorgeous. Sometimes the higher up you place your ponytail, the easier it is to obtain a sleek appearance. Higher ponytail gives an impression of youth and friendly personality. No matter whether your hair is curly, wavy, straight, or natural, you can enjoy a ponytail hair style to keep your hair under control. Out in the road or going somewhere where long hair is in the way, a traditional ponytail comes to the rescue. Another fun style that is still popular is pulling your hair into a ponytail and pinning your bangs back after teasing them for added volume. Though bangs are always chic to look at, there are times when it can be used to bump the front hair and create a new look. You may even consider a simple ponytail with your fringe swept to the side with a side part for a more dramatic look. Ponytails go well with a side bangs that runs from the crown to the cheek. 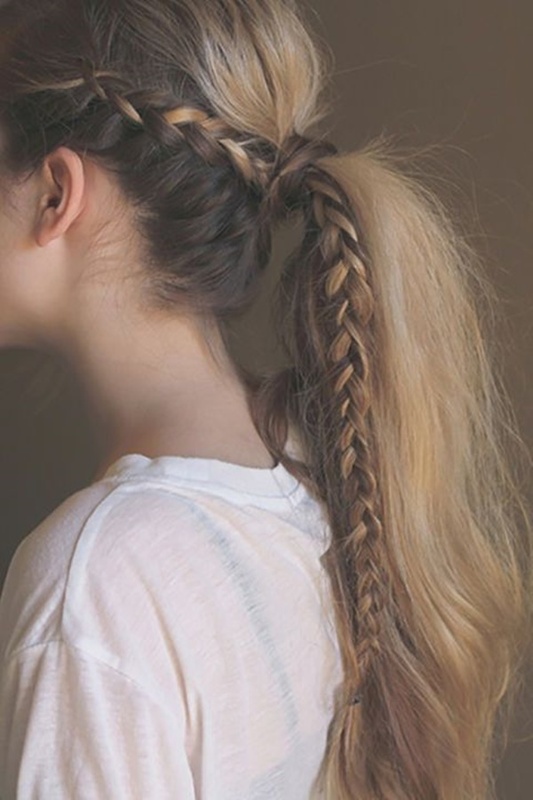 Some even prefer to French braid the hair before putting it into a ponytail to hold in shorter layers and keep the style neater than it would be if it was simply pulled up. The technique is to start creating a braid from the top of the head down to the middle and stop to make a ponytail from the remaining hair. 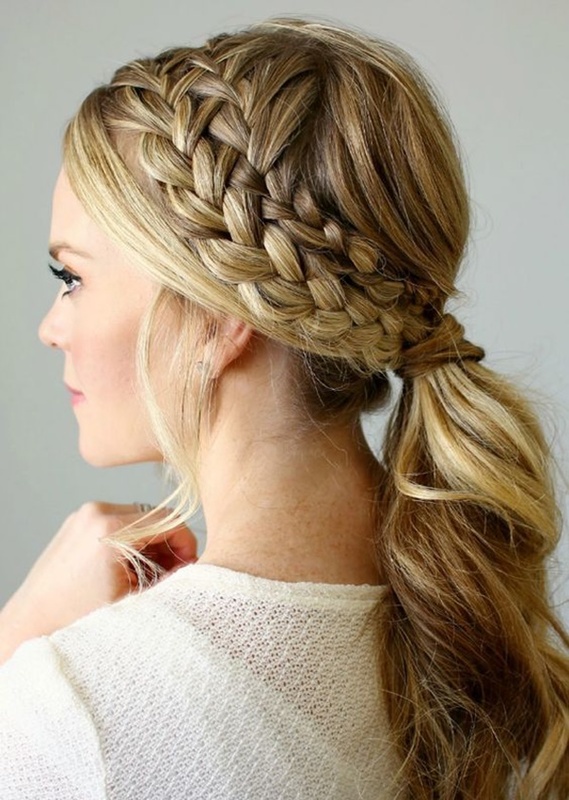 For this fun style, simply Dutch braid a small section of hair stopping the Dutch braid where you want to pull the hair into a ponytail but continuing the plaiting to the ends of the hair. This is great for all hair types, sleek, wavy or curly, but best for long hair. This can be done using pins and elastic to loosely secure a ponytail then wrap a small section around the elastic and pin it to hide it. Then simply curl your hair and loosen the ponytail until you get the look you want. This loose wrapped ponytail is best for wavy or curly hair as it can easily achieve the look of messy yet refined ponytail. Rather than using elastics, you can pin your hair into a ponytail by simply crossing sections of hair around where you wish your ponytail to be then pinning them into place. Just make sure that all pins are well hidden by the hair. Another idea would be to put your hair into a loose low ponytail and curl the hair that is held in the ponytail style for a neater look. This style will look great in any high end event because it gives simple sophistication to the woman wearing this ponytail. Brushing your hair into a ponytail at the center of the back of your head can create an interesting lined effect if you choose to not smooth the hair down completely. 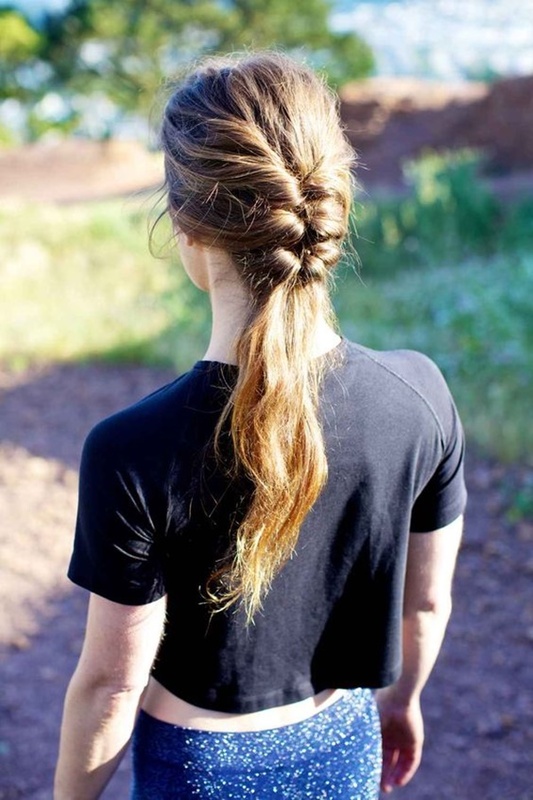 A simple ponytail style that adds a little messy look. If you have layered hair, then you know that ponytails can be a little funny as the hair doesn’t always stay. However, if you place the ponytail high enough you can obtain an interesting layered effect in the ponytail. Sometimes there is really a need to tie the hair into a ponytail even though it is styled to go untied. There are accessories out there to hide your elastics rather than wrapping your hair around the elastic, and they come in a variety of colors and designs that you can choose from. Depending on the taste, ponytail holders are available in various unique designs. However, there is nothing more classic looking than simply wrapping the hair around the elastic once then tucking the remainder of the hair beneath the elastic under the ponytail and pinning everything in place. This is a cultivated beauty that could never go wrong. Not everyone wants a heavy up do for their wedding day, so why not consider a ponytail. 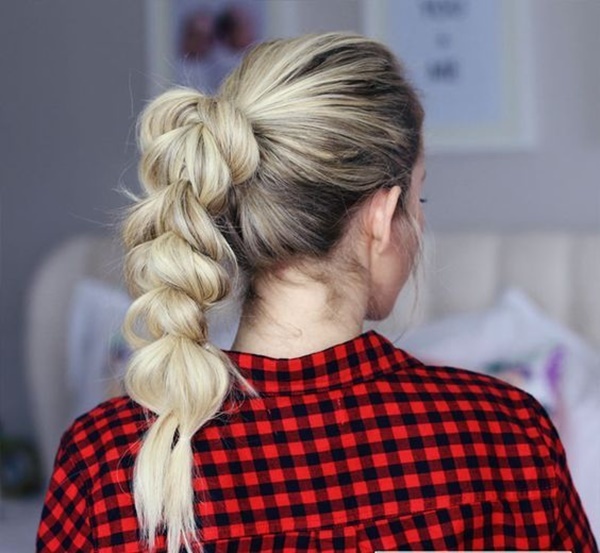 Simply braid a band of hair then secure it into a ponytail, hiding the band using hair from just under the ponytail and pinning it into place. Every bride is beautiful, and a simple yet elegant bride is astonishingly stunning. Rather than smoothing a section of hair to disguise the elastic on your ponytail, try braiding that section of hair and using that to disguise your ponytail elastic. After the ponytail is done, get a small portion of the hair and braid it. Use the braid to cover the elastic used to tie the ponytail. You can use extensions in your ponytails as they are easy to use and will blend in nicely with your real hair. Hair extensions are needed if the hair is not long enough to create a magnificent ponytail style. As you disguise your elastic bands, you can use the hair that you wrap around your ponytail to both add volume and create a fan by loosely wrapping the hair. A high ponytail can be more wonderful to look at with this loose hair tie. Adding volume to your ponytail isn’t all too difficult as you can do this by teasing or curling and teasing the hair to create the volume you desire. After the teasing of the hair, a hair spray can be applied to make the hair style last for hours. Another way to make your ponytail seem fuller is to create a half ponytail then position a second one below the first and teasing both to get the volume you want. Having two ponytails tied together as one adds mystery to the wearer. One particularly popular elastic disguising accessory is called the cuff and while it does hide the elastic incredibly well, it is important to choose a cuff that matches or compliments your hair color. There are also ponytail cuffs with varying colors and design to choose from. One technique to getting a sleek ponytail is to use a fine brush like a toothbrush or baby brush in combination with hairspray to smooth down the hair. This will ensure that the hair will remain sleek, and the strands will stay in place. If you are concerned about losing volume in your top puff ponytails, then tease the hair in small sections along with pinning and hairspray to secure it for longer wear. This gives a messy hair look but definitely appears gentle and classy. Another fun trick for a sleeker ponytail is to use an anti-frizz serum or a natural hair oil to achieve the shiny and smooth texture you want before tightly securing your ponytail. This is great for women who want a sleek look thought the day or night, especially when attending corporate parties. You can also create ponytails using hair clips as they allow for a loose hold while not allowing the hair to escape. This is done by creating a semi-braid then loosely brings the hair upwards to put a clip to secure the ponytail. However, nothing will ever beat the standard ponytail, simply smooth the ponytail itself to achieve this look and add an anti-frizz serum for best results. This can be done anytime, anywhere. It is simple and classically traditional. If you want your hair to appear shorter, then lift the height of your ponytail to a length that you want without ever having to take scissors to your hair to get the length you want. Aside from making the hair appear shorter, it gives a clear image of the face. Adding a little wave to your ponytail couldn’t be easier as you simply need to pull your hair up when it is wet and use either a gel or hairspray to scrunch the hair slightly giving it a little wave. This gives a sleek elegant look that is best for parties and special occasion. Using hairspray you can create a dramatic part for your ponytail by applying hairspray then combing in the part before putting in the elastic. This is great for partying the night away as it gives a modern look for the young at hearts. This look is simple with beach wave styling products as you just spritz and scrunch your ponytail to achieve this kind of wave. Best for naturally wavy hair, and a challenge for sleek hair. Teased looks are incredibly popular and can be achieved through teasing the hair before putting it into a ponytail, then tease the look to achieve your desired effect. A messy hair always looks great especially when the girl wearing it can perfectly pull it off. You can also get an interesting look to your ponytail by using your fingers to comb your hair back and create your ponytail no matter where you are. Easy and convenient to do at anytime and anywhere. All is needed is hair elastic and the hair can put up for ponytail. Styles like this seem complex, but simply twist the top half of your hair down loosely then pull all of your hair into a ponytail. This works best with thick, long hair to emphasize the twist. As complex as this ponytail is, it takes high confidence to ear this crown of hair. You can also use a small clip to clip your hair into a low ponytail and possess the same security as an elastic but easier to fix. A charming ponytail style that is always acceptable anywhere. The refinement of the ponytail is preferred by women who are downright simple. Straightening your hair before pulling it into a ponytail can also allow you to achieve a sleeker and longer look. This ponytail style will look good on a short or long hair, and this allows the face of the girl to be noticed clearly without the hindrance of the face all over the face. By winding the hair tightly in certain points around your elastic, you can create different looks for your ponytail as it will fall differently each time. It gives an appearance of a layered ponytail that is amazing to look at. And it adds volume to the ponytail. You may even consider reverse threading your hair between your scalp and the elastic to achieve an even more relaxed look. Once you have pulled your hair through this space simply use pins to secure it and your bangs for a fun style. The pins and elastic must be covered properly so as not to ruin the beauty of the hair style. To achieve a bigger bump with your bangs, simply tease the hair until you have the desired height and pin the hair and smooth as normal after pulling your hair into a ponytail. This creates a look of traditionally old classic, but worn in styled sophistication, this look can capture a lot of eyes. To smooth the section of hair that you are using to wrap your elastic, apply a smoothing serum or simply comb the hair until you have achieved the appropriate smoothness and spray with hairspray once finished. No matter what the ponytail style is, what is important is to make sure that the hair is smooth all the time. For those with bangs, separate your bangs from the rest of your hair and pull up the remainder into a ponytail. Then simply part your bangs in the middle to achieve this kind of effect in your ponytail style. This gorgeous ponytail style is mesmerizing and will surely make heads turn. You can also braid only a small section to secure your bangs then pull all the hair into a ponytail for this look. This will give the bangs another reason to exist, which is unique and great to look at. You can also get the illusion of a ponytail by only clipping up half of your hair including some along the sides at the base of the neck. 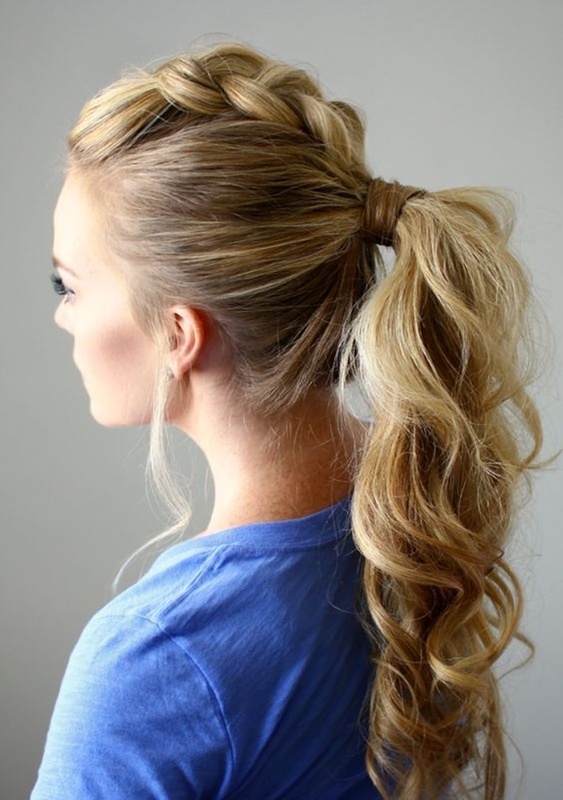 This ponytail style is somewhat appearing messy and disorganized but splendid at the same time. Works best with wavy or curly hair, but can also be great for sleek hair. The half clipped ponytail emits innocence to the wearer and gracefulness as well. 45 Free Detroit Red Wings Wallpaper Designs & Trivia!